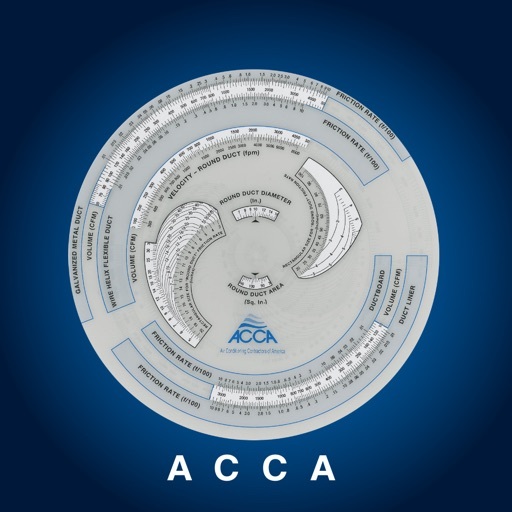 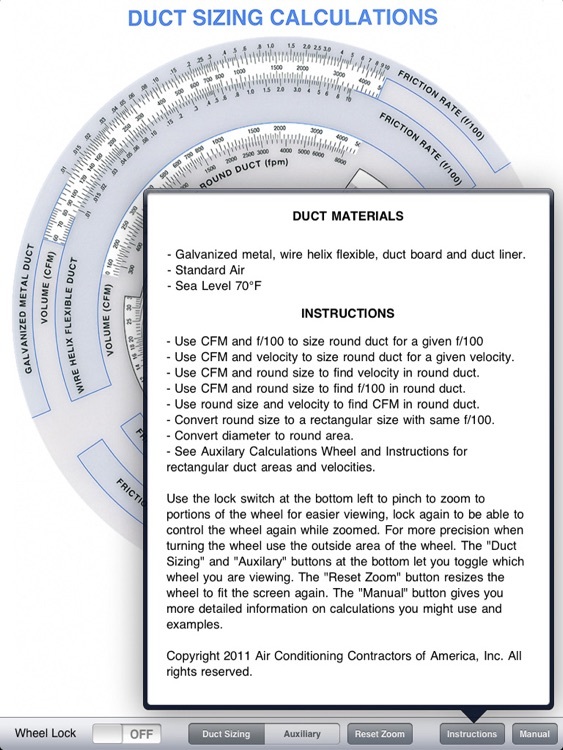 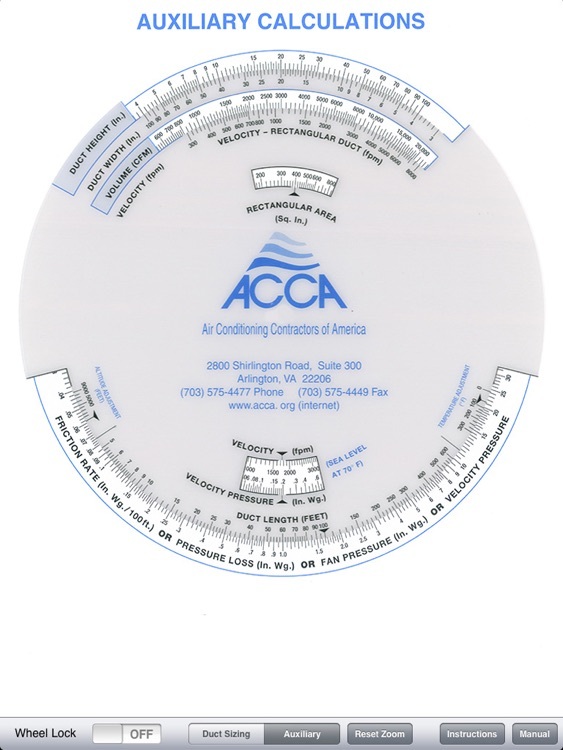 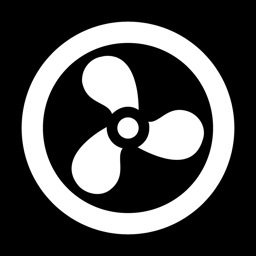 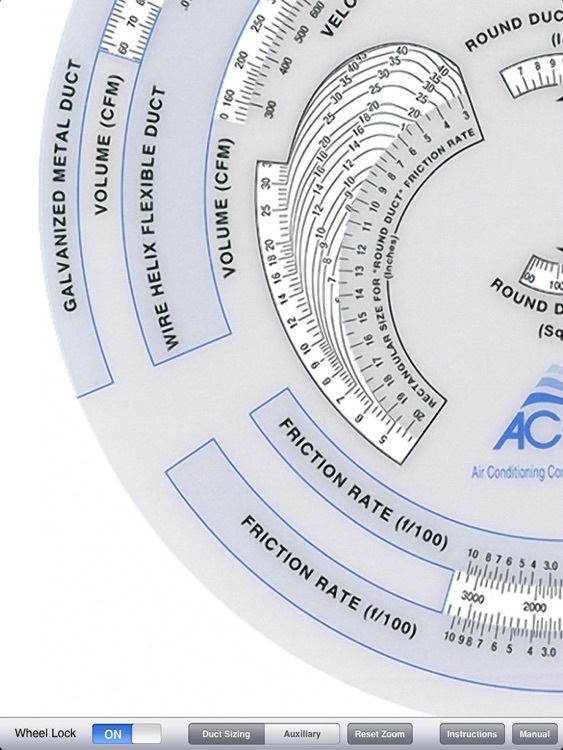 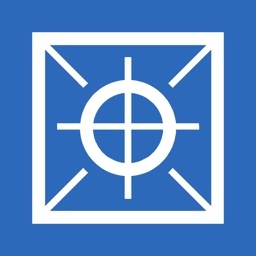 DuctWheel is the only duct sizing measurement app powered by ACCA's Manual D, the ANSI standard for residential duct design. 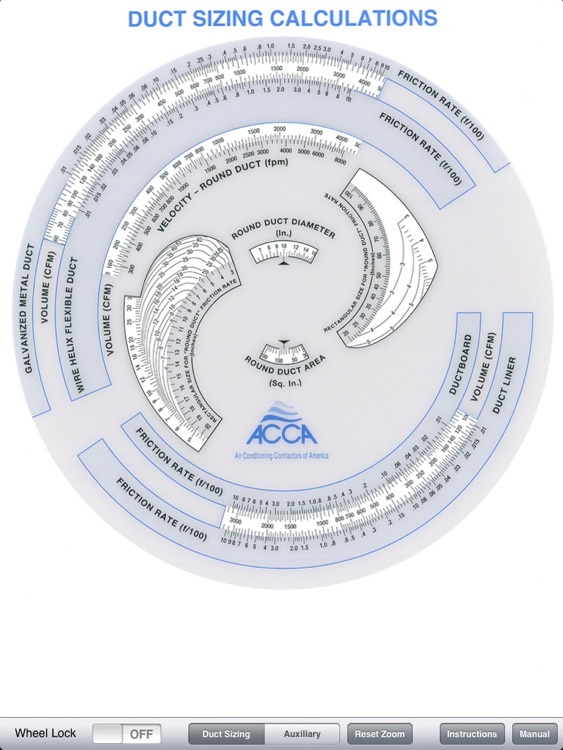 It features the same easy interface as the popular wheel sizing device that technicians have been using for years -- only now you can zoom in, lock the wheel in place, take a snapshot for future reference, and it never wears out! 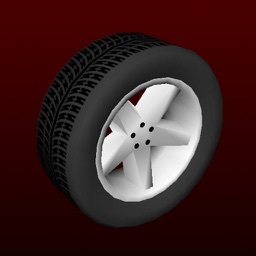 Flip between two different wheels for different calculations. 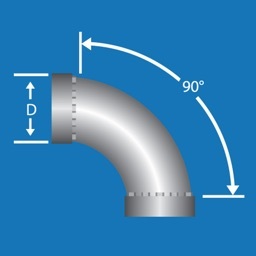 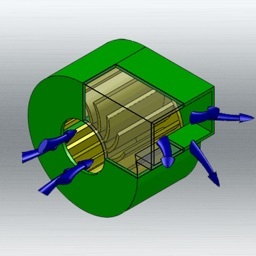 Uses: Sizes metal ducts, lined metal ducts duct board airways, and wire helix flexible ducts; converts round shapes to equivalent rectangles; correlates available pressure with the total effective length and friction rate (Manual D Sizing Calculations); converts velocity pressure and vice versa; corrects for altitude and temperature, Includes instructions manual.